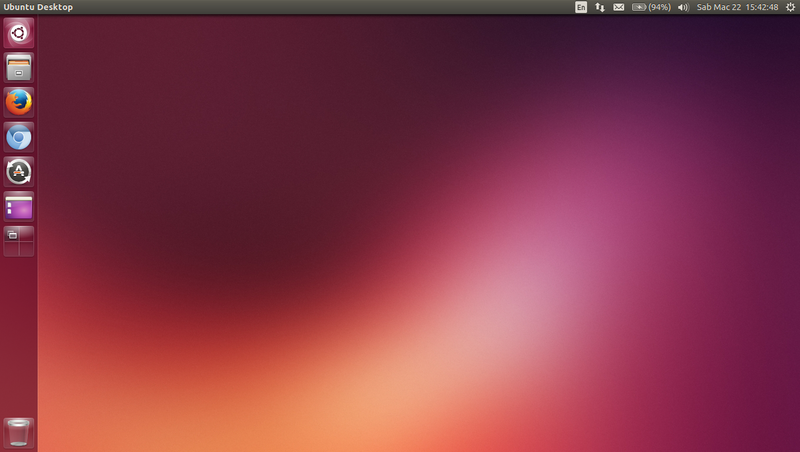 Screenshot of my Ubuntu 13.10 Desktop with the Launcher showing. 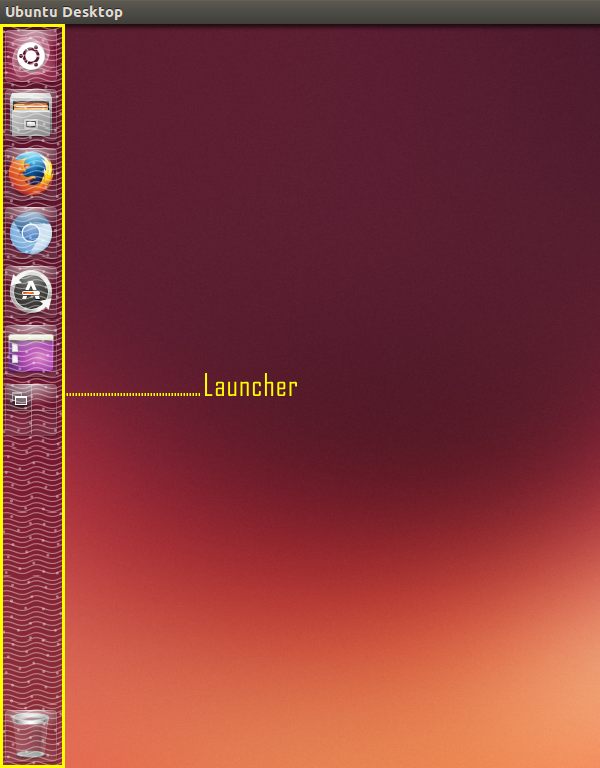 We know it's called the Launcher because... see the Unlock from Launcher pic. 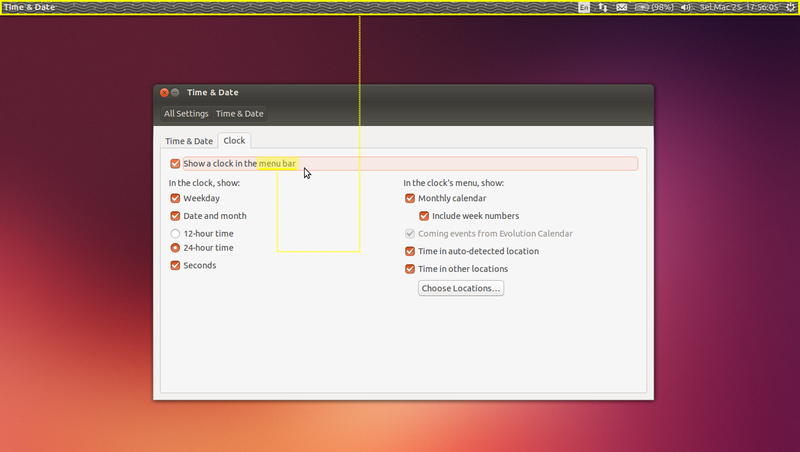 Time & Date > Clock tab > Show a clock in the menu bar. 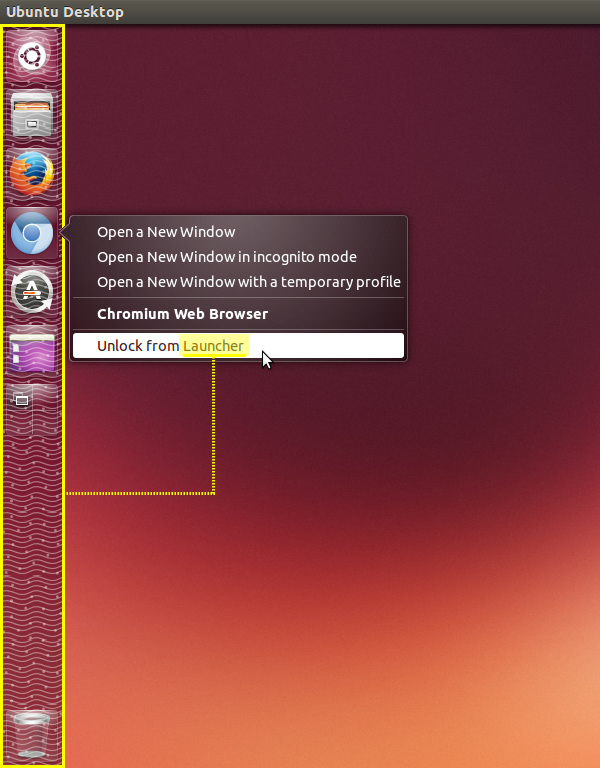 Launcher > Chromium > right-click > Unlock from Launcher.